Simple design 14k yellow gold oval Citrine ring. Citrine measure 8x6mm and is a vibrant color. Stock size 7. 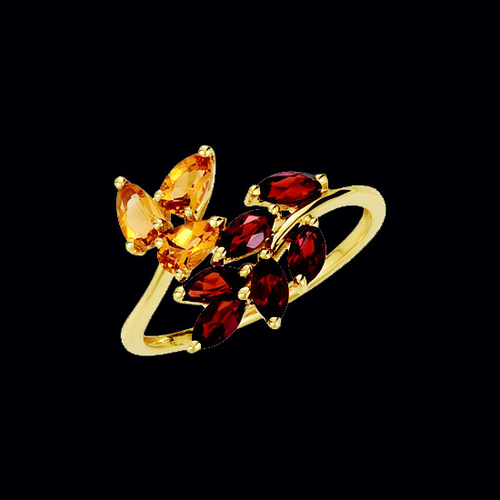 We are happy to size this ring up or down 1 size free of charge. Custom sized items are non-returnable. 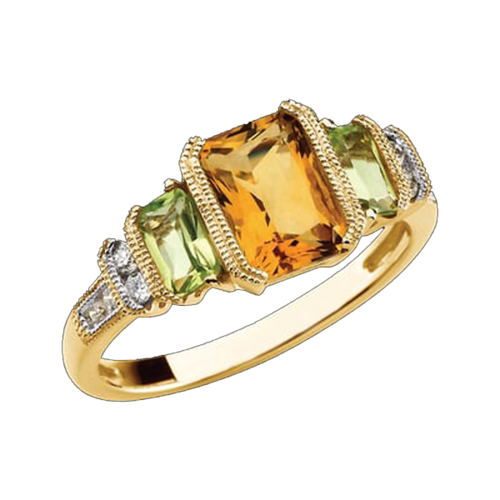 Pretty golden checkerboard cut citrine and diamond ring. 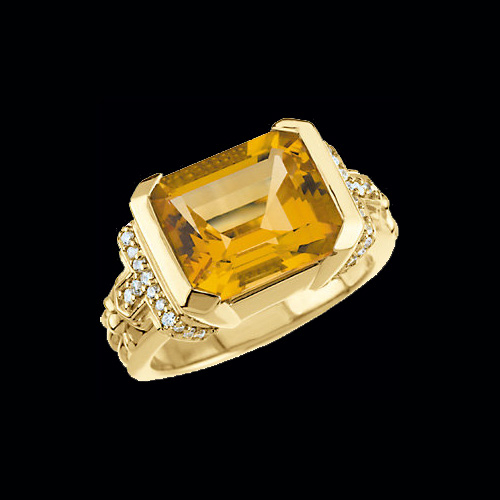 Large cushion checkerboard cut citrine is 5.33 carats and measures 12x10mm. 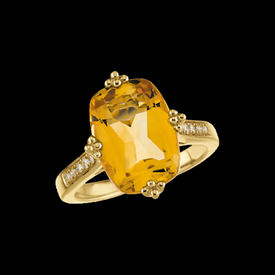 Round accent diamonds on either side of the center stone total .15ct tw. Stock size 7. 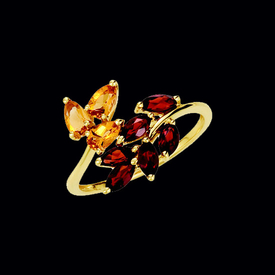 We are happy to size this ring up or down 1 size free of charge. Custom sized items are non-returnable. 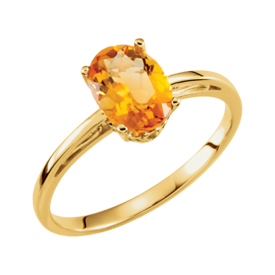 Bold golden citrine is a 6.5 carat stone with accent diamonds totaling .09ct tw. 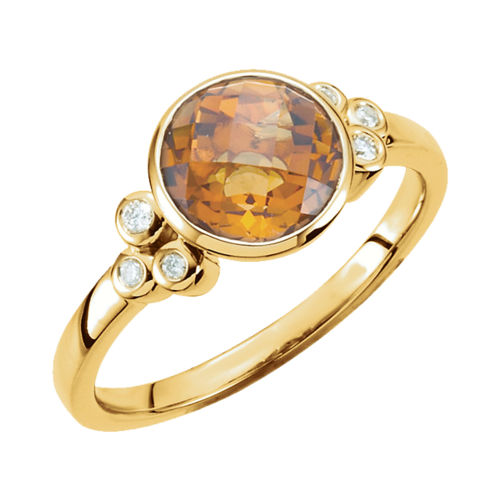 If you love the golden warm citrine, you'll love this ring. Stock size 7. 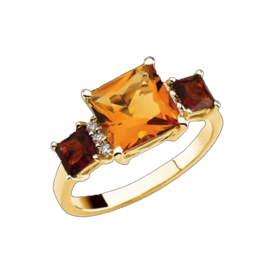 We are happy to size this ring up or down 1 size free of charge. Custom sized items are non-returnable. Large Citrine and Diamond ring. 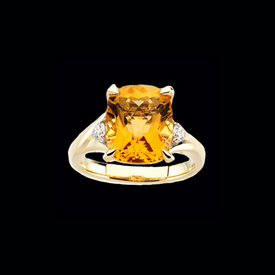 A large, vibrant citrine measures 12x10mm approx.. 5.2 carats. The citrine is an emerald/octagon cut AA quality. Stock size 7. 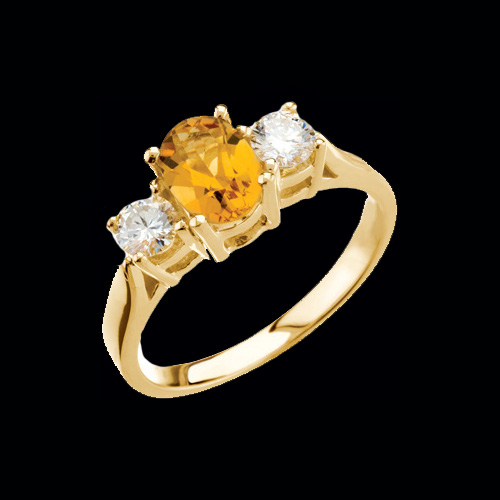 We are happy to size this ring up or down 1 size free of charge. Custom sized items are non-returnable.